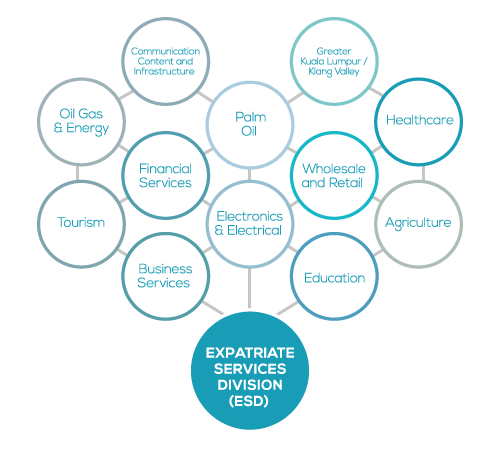 The Expatriate Services Division (ESD) under the Immigration Department of Malaysia was established to provide efficient, effective and innovative services for expatriates and companies to submit expatriate related immigration matters. Launched in June 2014 by Prime Minister of Malaysia, the ESD aims to improve the process of obtaining approval for work permits of expatriates, within five (5) working days. This one-stop centre with customer-centric approach enables the expatriate applicants to deal with immigration matters without having to go to different divisions to obtain different permits or pass. 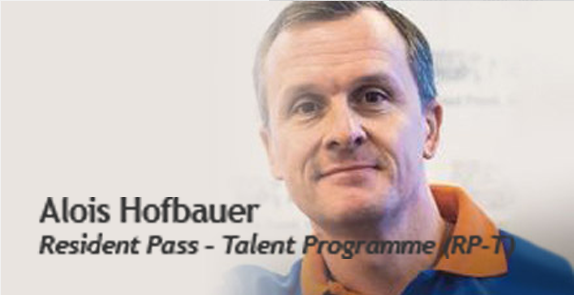 Among the services offered are Employment Pass, Residence Pass-Talent, Professional Visit Pass, Dependant Pass, Long-Term Social Visit Pass, and Social Visit (Temporary Employment) - Foreign Maid Pass. The ESD cooperates with numerous government agencies to speed up the delivery process. The division works with Talent Corporation Malaysia Berhad (TalentCorp), Ministry of Home Affairs, Ministry of Foreign Affairs, Public Service Department, Securities Commission of Malaysia, Royal Malaysian Police Department, and Ministry of International Trade and Industry. Why do I need my director to sign the Letter of Undertaking (LoU) and how long does the process take? The company Director is required to sign the LoU to ensure that he acknowledges the responsibility for all transactions by the company. This would also protect the interest of the company.